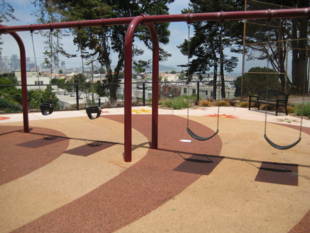 In the summer of 2007, the city renovated the lower playground giving kids and families a brand new, large and colorful place to play. 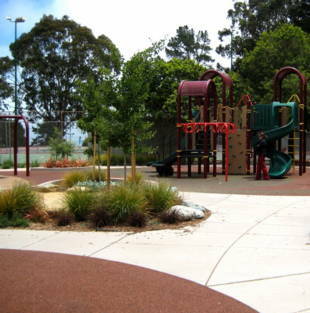 There is also a baseball field, two tennis courts, and a basketball court; however, the real treat for the public is the recreation center that is extremely well maintained and has a variety of sports/activities to choose from! There are plenty of picnic tables for lunch, in addition to the BBQ pits, and enough space for your pooch to run around. 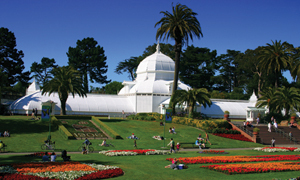 Rec Center phone number: (415) 695-5009. 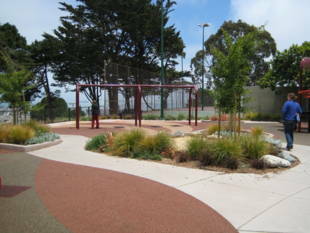 Potrero Hill Recreation Center is owned by the San Francisco Recreation and Park Department. 10-Townsend (outbound/25th & Potrero) -- Arkansas and Madera Streets. 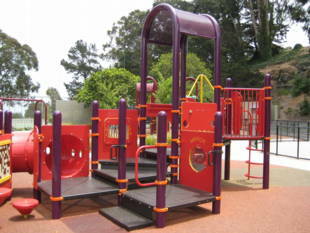 The park is across the street from the bus stop. 10-Townsend (inbound/Jackson & Fillmore) -- Wisconsin and Madera Streets; walk east one short block east on Madera to Arkansas St., the park is across the street. You can also off-board the 10 bus, either outbound or inbound, at 23rd and Dakota Streets, but there is no park access and you will have to walk along 23rd to Arkansas St. Note: The Center requests that you stop by rather than call if you have any questions. Phone calls interrupt coaching and other activities.